As a home inspector since 1995, I’ve seen the inside and outside of thousands of homes. Many stand the test of time. But I’ve seen others that are in need of lots of repairs far too quickly due to a lack of care. 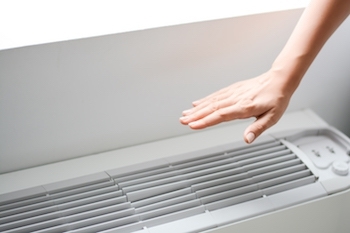 A major key to taking care of your home—and your health—is having a proper ventilation system. Here in southern Ohio, the weather is fairly temperate. Although we are hit by occasional thunderstorms, snow rarely accumulates in the winter, and summer temps usually average in the 80s so most homeowners want to try and regulate the temperatures in their home regardless of the season to be comfortable. But lack of ventilation makes it harder to regulate temperatures in your home. It can result in significant reductions in energy efficiency and clean air and moisture can even cause major damage to your home’s framing or foundation. In this article, I’ll walk you through the three major types of ventilation systems and go into detail about the benefits of installing a ventilation system for your home. Natural ventilation. In other words, cracking a window or door to let some fresh air in. Many older homes still rely on this method of ventilation. Spot ventilation. Small exhaust fans are placed at the source of pollutants and fumes to ventilate problem areas. Some examples of spot ventilation are range hoods and bathroom exhaust fans. Whole-house ventilation. A system of fans and ducts that exchange stale air with fresh throughout the entire home. Often with older homes the “crack-a-door” method of ventilation is used because older homes aren’t generally as “tight” as new homes. New homes are built to be more energy efficient and they are sealed better to reduce hot air from escaping in the winter and cool air escaping in the summer. They also have better insulation, which is a great way to reduce energy costs. The flip side is that these efforts also reduce the overall air exchange rate in the home. In other words, this method reduces fresh air circulating in the home. A whole house ventilation system can help homeowners achieve energy efficiency and good air quality. To ensure your home is properly ventilated, you start by sealing leaks. You may find air escaping in your attic, doors, and windows. While you do want to get fresh air into the home you don’t want it coming from an uncontrolled source like gaps in your roof or a poorly insulated crawlspace. Ventilation is all about improving airflow to reduce moisture build-up and improve air quality. Although it seems obvious that homes will need fresh air during the summer, moisture accumulating from condensation from dryer vents, and even showers and kitchen appliances can be bad for both residents and the home itself. Attic vents, spot ventilation, and whole-house supply and exhaust systems all allow you to let fresh air into your home, reduce moisture, and maintain air quality. For more information on which ventilation solution is right for you, consult this guide from Energy.gov—or ask a HouseMaster inspector! Balance energy savings. Energy-and-heat-recovery ventilators can transfer the heat from inside air to cool outside air during the winter, recovering up to 80 percent of energy that would otherwise be lost through traditional ventilation systems. Control air quality. A smart ventilation system can cut down on mildew, mold, and radon that would otherwise accumulate. Ventilation may also help get rid of dust and other particles released into the air by daily household activities. Reduce moisture build up. Moisture buildup is often the culprit when it comes to costly structural issues and roof repairs. A well-designed ventilation system is a good investment to improve air quality and to minimize expensive repairs all year round. Not sure whether your ventilation system is cutting it or if there are moisture issues that are lurking in your home? HouseMaster home inspections offer you a comprehensive evaluation of your home—including its ventilation. For more information, give us a call or schedule a home inspection with our friendly HouseMaster team.